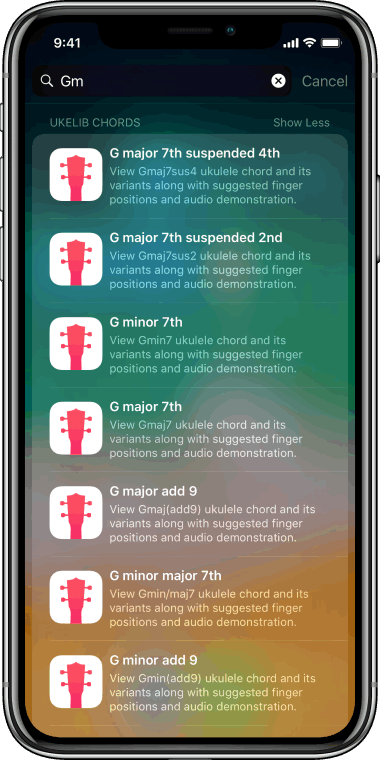 UkeLib Chords is a vast and comprehensive ukulele chord library for iPhone, iPad and iPod touch. Download it today for free. 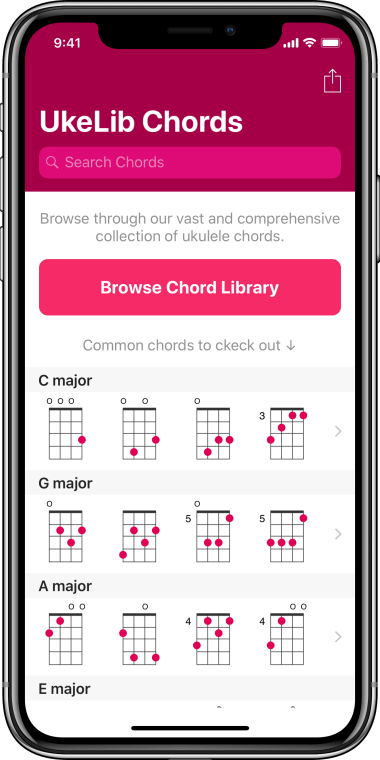 Vast and comprehensive chord library for ukulele. 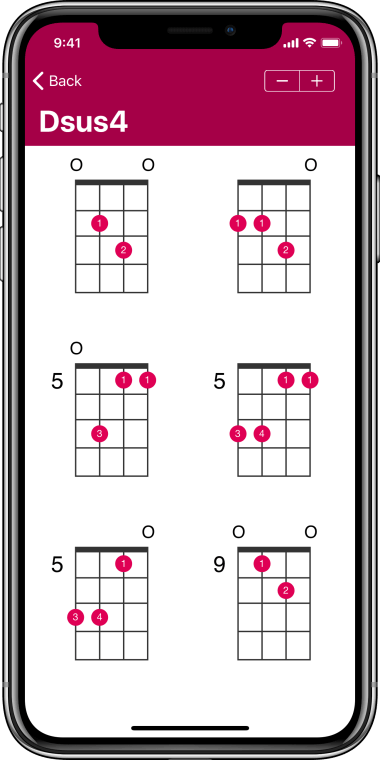 With suggested finger positions for every chord. 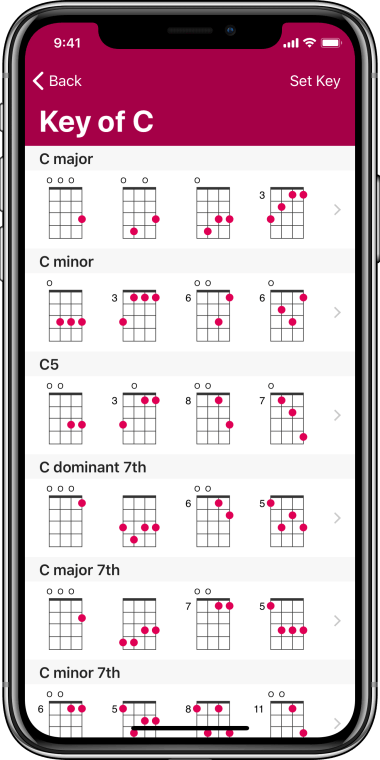 Browse all the chords for every key. 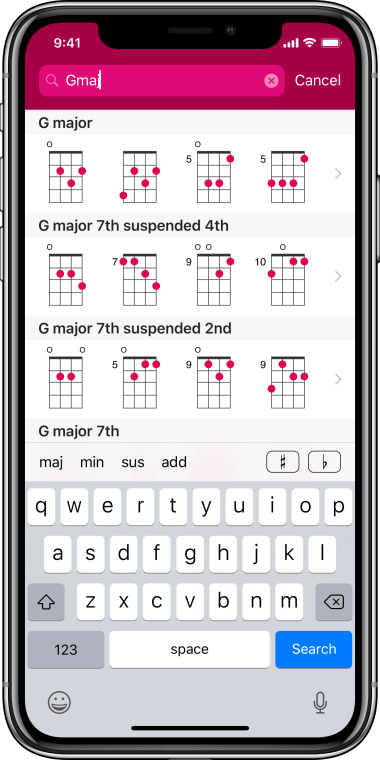 Search and quickly get to any chord in any key. Search any chord directly using spotlight. 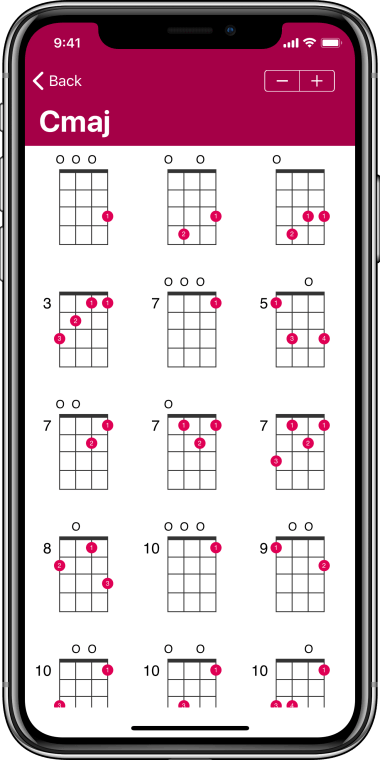 Browse all the possible positions for every chord. © Copyright 2018 UkeLib Chords. All Rights Reserved.